I’m always looking for supper places especially if their offerings deviate from the usual oily, greasy prata or bak chor mee. 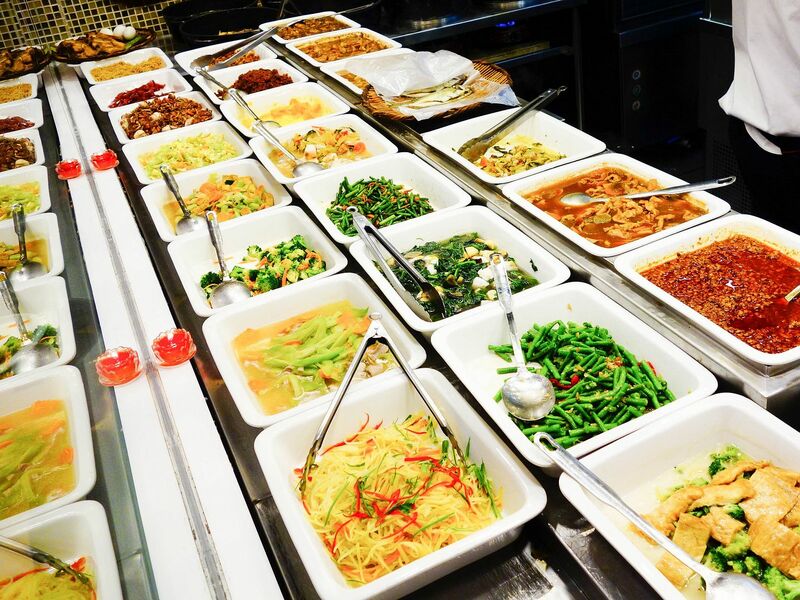 Thankfully, ChaoZhou Porridge has introduced its new supper buffet which makes a great addition to any foodie’s list of supper places. 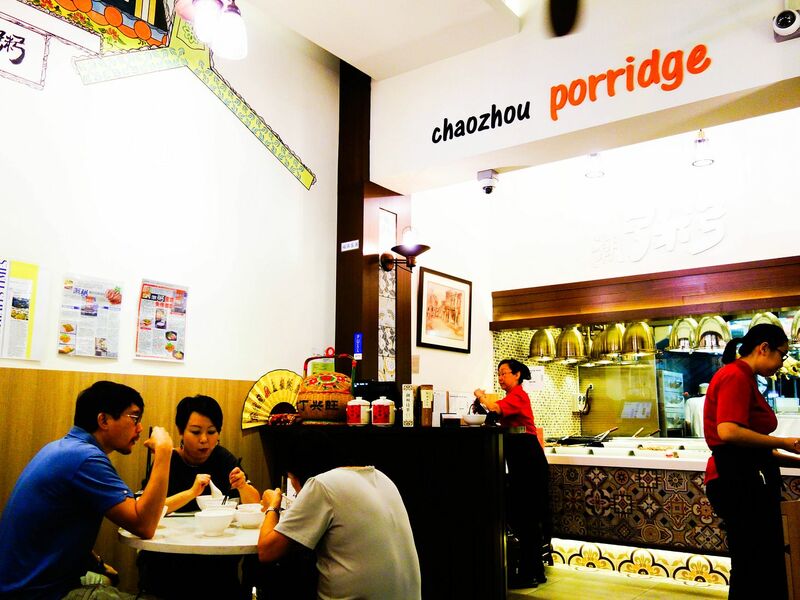 ChaoZhou Porridge is situated at River Valley Road, in between UE Square and Mohamed Sultan Road. 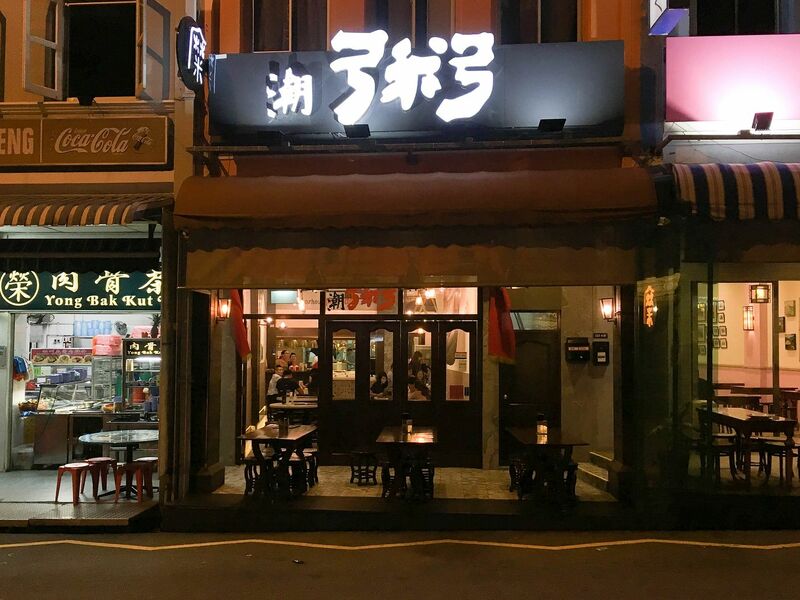 The restaurant delivers Teochew-style porridge and accompanying dishes. 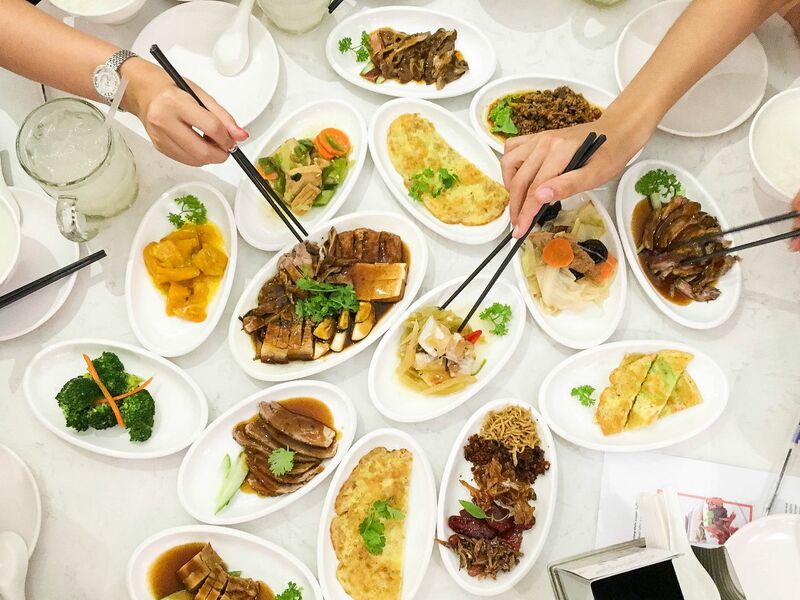 Its head chef, who has over 10 years of experience under his belt, has gathered suggestions and feedback from chefs and diners in Chaoshan (a region in Guangdong, China) to curate a selection of Teochew recipes to bring back to Singapore. 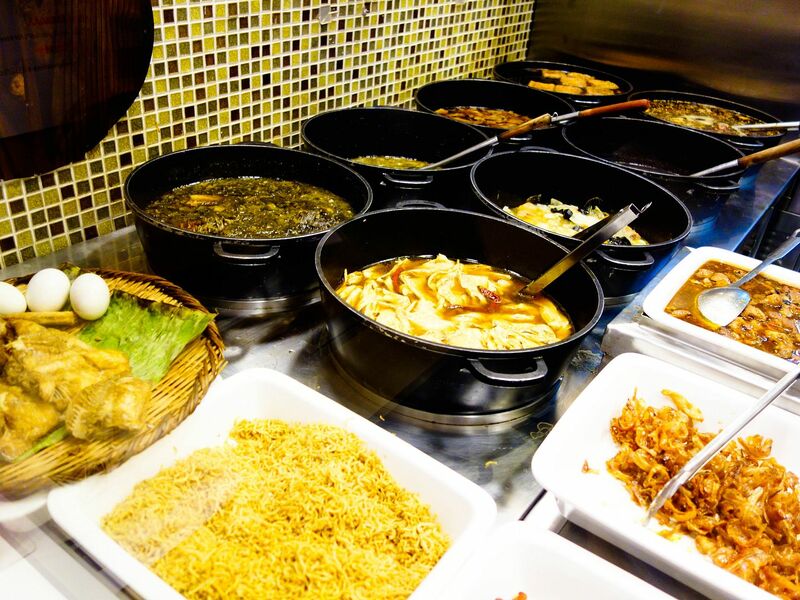 Huge variety of options to choose from in the supper buffet menu. 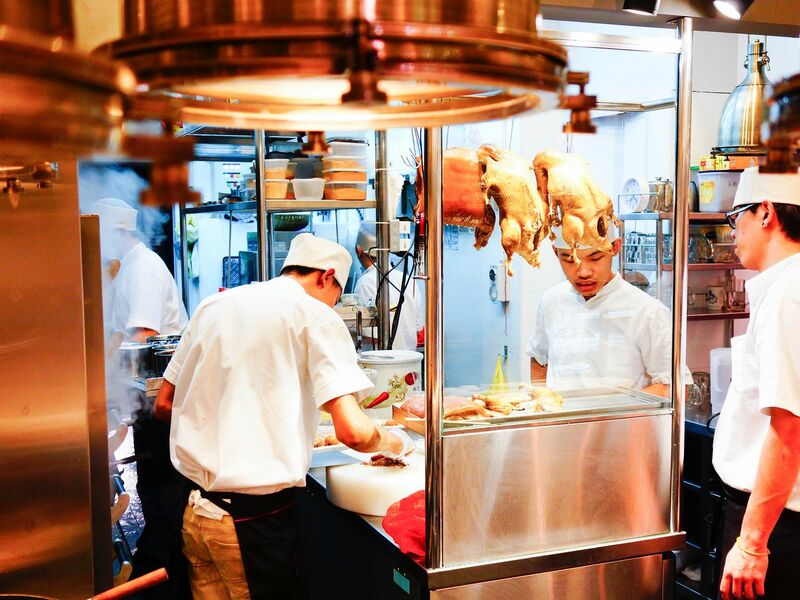 At the counter, one can view the huge array of up to 30 Teochew dishes. My favourites were the fragrant minced meat, stir-fried pumpkin with preserved radish, preserved radish omelette and the Fried Delights Platter (dried shrimp, fried fish, silver fish, ikan bills with peanuts and Chinese sausage). 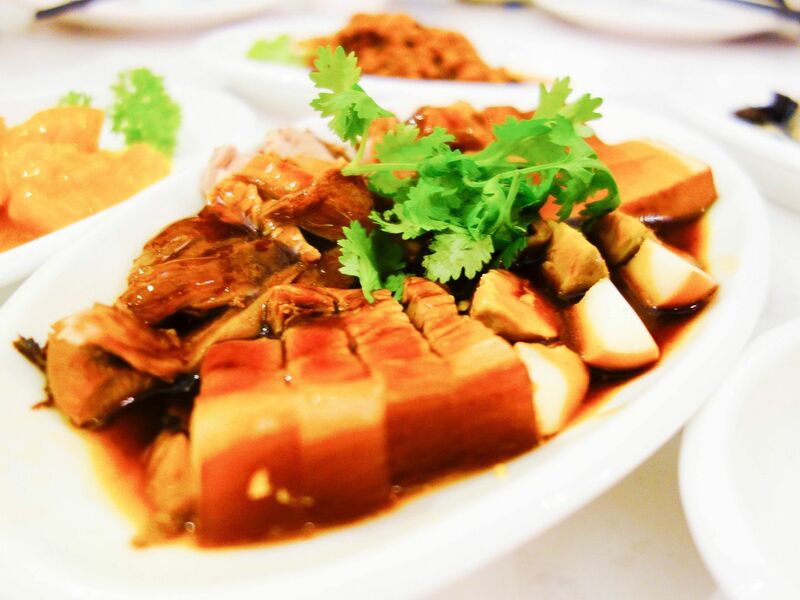 Also, upon opting for the buffet, you will be served a complimentary Braised Delights Platter consisting of braised duck, large intestines, pork belly, beancurd, tau pok and egg. 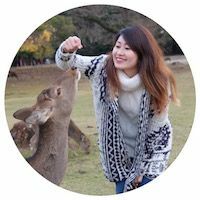 These braised dishes have been simmered in both light and dark soy sauces for up to eight hours, which allow the sauces to permeate the ingredients to give it a pleasant uniform salty flavour throughout. Both the duck and pork belly were absolutely tender. The quality is pretty amazing for a late night supper establishment serving so many different dishes. In addition to the supper buffet menu, one could always order from the a la carte menu at additional expense of course. 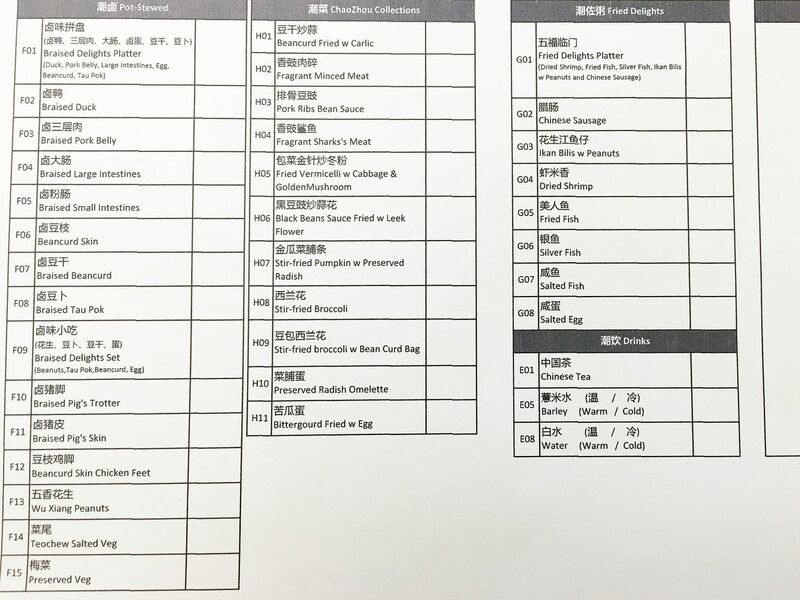 Hot favourites include: Steamed Meat Ball with Porridge Water ($5.50), ChaoZhou Steamed Fish (Seasonal Price), Cold Bean Curd with Preserved Radish ($4.80), Braised Duck ($8.90/16.90), Crisp-fried Taro Rolls ($2.30/pc) and Big Sotong with Homemade Sauce ($6.90). 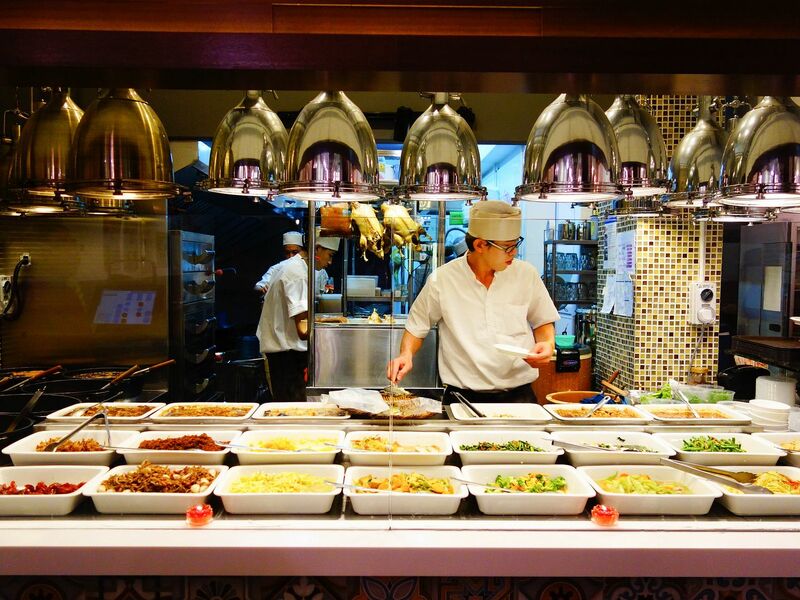 Overall, I am amazed by the freshness of all the dishes even though the buffet goes all the way into the night. The supper buffet is available daily from 11pm to 5am and goes for $23.50 per person which is definitely value for money! 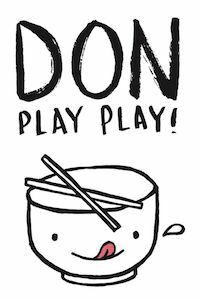 Since the restaurant operates till late within the vicinity of many nightlife hot spots, it definitely makes for an ideal supper place after a night filled with revelry.